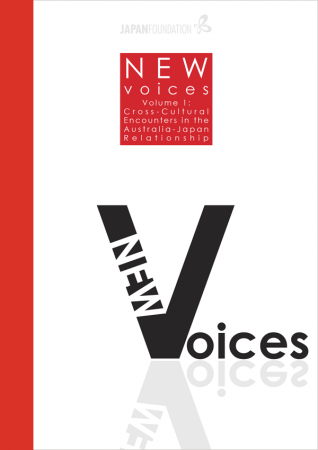 This paper explores the ‘different, but still possibly significant, status’ of the memories of Australians who occupied Hiroshima Prefecture with the British Commonwealth Occupation Force (BCOF) from 1946 to 1952 and the Japanese who lived under Austral- ian occupation. After living in Japan for almost seventeen years, and being constantly intrigued by the attitudes of the Japanese to Australia, upon my return I was naturally interested to learn about Australian attitudes to Japan. The paucity of news concerning Japan in the press suggested that it was not of major interest to the Australian public, and one tends to pre- sume that, wartime apart, this had always been the case. At the time of writing I am living in Kyoto, conducting research for my PhD thesis on the History of Women in chanoyu (tea-ceremony)1, supported by a Japan Foundation Fellowship. This research combines my academic and personal interests in Japanese history and chanoyu. In this paper I would like to discuss how I came to choose this sub- ject for my doctoral research, before going on to describe this research and how I believe it will contribute to the fields of Tea history and Japanese women’s history. My first experiences of Japan were so early in life that they are hazy in my memory. My neighbours in São Paulo City, a sprawling megalopolis in Brazil, were Japanese migrants. I was seven or eight when I first saw their festivals and performance presentations from my parents’ bedroom window. I remember my awe at their colourful costumes, masks and music. On a daily basis I remember the pungent smell of the soy sauce they produced in a factory in their backyard. We also shopped at a small neighbourhood supermarket called Shinohara. We bought paper and sticks for our kites from a general store owned by another Japanese migrant. We would tell our mother that we were going to ride our bikes to the ‘Japonesa’ to get kite material. At home, caqui (Japanese kaki) was my favourite fruit, but we also had all sorts of vegetables the Japanese migrants brought from Japan. We even called Japanese pumpkin by its Japanese name – kabocha. As a recipient of a Japan Foundation Fellowship in 2000, I was able to commence doctoral studies on the little-known Japanese literature of zainichi Koreans in Japan. The term ‘zainichi Korean’, as opposed to ‘newcomer Korean,’ refers to Koreans and their descendants whose presence in Japan is a direct result of Japan’s thirty-five year occupa- tion of the Korean Peninsula, which began in 1910. My overarching goal was to achieve a nuanced understanding of postwar Japanese society, one that encompassed zainichi Korean perspectives, which are generally overlooked by mainstream studies. While at Shizuoka University as an undergraduate exchange student, I began my involvement in theatre by learning Noh (Kanze school) from Professor Ueda-Munakata, a specialist in adapting and producing Shakespeare’s plays in Noh style. After touring to Australia with him, I remained to write plays, perform with many theatre companies both in Australia and internationally (in styles ranging from acrobatics, dance, clown, physical theatre, realism and multi-media performance), direct productions, create installations and make a documentary on Japanese sub-cultures1. In 2001, upon receipt of a Japan Foundation artist’s fellowship, I returned to Japan to research avant-garde theatre. I was invited to become a core member of Gekidan Kaitaisha, and I stayed in the country for the next five years. A dramatic increase in the numbers of students undertaking in-country exchange programmes between Australia and Japan has occurred over the last few decades. These exchange programmes are normally based on formal agreements between institutions. Most exchanges are organised by secondary schools, universities, government bodies and private organisations such as Rotary. Even primary school pupils have had opportunities to participate in exchanges or study tours in recent years. Australia has maintained a steady and strong business relationship with Japan for over three decades. In fact, Japan ranks first in terms of important export markets1 for Australia. As a result, it can be assumed that, on a micro-level, the possibility of more expatriates from Australia being stationed in Japan will increase to facilitate business communication and transactions between Australian and Japanese companies. With the creation of multinational workplaces, including Australians and Japanese working together in Japan, comes an increasing necessity for Australian expatriates to have linguistic and cultural competence. While this has been identified in intercultural communication research2, the implementations of such findings related to Japanese language proficiency and how it benefits Australian-Japanese workplace communication is seemingly sporadic despite the investment into Japanese language education by Australia. Who are you? What makes you so? These superficially simplistic questions pertain to the question of identity. Sociological understanding of this term suggests that our identities are socially constructed; that is, that they are both learned from and negotiated during our interactions with others1. In view of this, it can be said that the family, initially at least, is the principal cultivator of one’s cultural identity.